Theatr Fach Theatre The acquisition of the building in Glyndwr Street was an achievement of which we are justifiably proud. 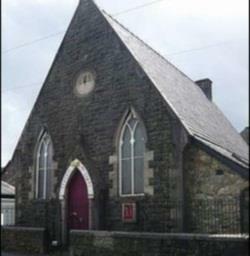 A grant from the National Lottery and a loan from the Foundation for Sport and the Arts, enabled the Society to add an extension to the existing building thus giving us more back stage facilities and a club room which is available for committee meetings and less formal gatherings, as well as being the place where patrons can enjoy refreshments during intervals in performances. The seating capacity of the auditorium is around 70 at the moment but we're hoping to be able to fund a change to our seating arrangements, fingers crossed.